Mr Porter.com is the award-winning global retail destination for men's style, combining the best international menswear with editorial content. The site sells over 300 leading international brands, with content and new products added weekly. 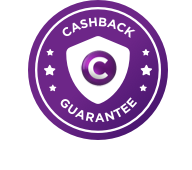 Cashback on Luxury Watches includes the following brands: Baume & Mercier, Bell & Ross, Bremont, WC SCHAFFHAUSEN, Junghans, Oris, Ressence, Zenith, Kingsman and Mont Blanc.